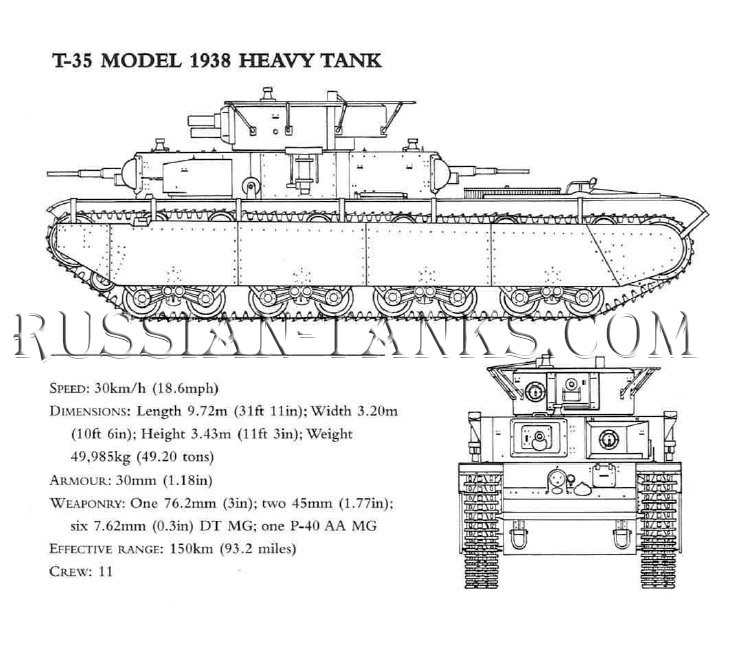 Heavy and even 'super heavy' tank appealed to Soviet engineers and soldiers in the 1930s, even though the multi-turreted vehicles proved to be impractical. However the large KV-1 would be an ideal chassis for a generation of powerful, heavily armed, well-protected tanks such as the Josef Stalin, IS-2 and IS-3. World War I had confronted modern armies with the problems of breaking through strongly fortified and deep opposing defences. Solutions had been found by late 1917, largely through skilled coordination of infantry and artillery forces, whose individual capabilities were enhanced by new technologies and tactics. Tanks had also assisted Allied infantry attacks by crushing barbed wire and destroying enemy strongpoints. The close integration of various combat arms in action, especially the role of tanks, had a major impact upon the development of the Red Army's tactics and organization in the interwar period. The value of tank support to the infantry for achieving a swift breakthrough of the enemy's tactical defences had a strong influence on Soviet tank tactics and tank design. leading to th e creation of a series of NPP (Direct Infantry Support) and DPP (Distant (Remote) Infantry Support) heavy Soviet tank in the interwar years. The stimulus co the actual development of heavy tank for the NPP and DPP roles envisaged in the Red Army's Field Kegulations of 1929 (PU-29) was the massive industrialization of the Soviet Union, begun in the First Five Year Plan (1929). This promised to provide the factories and technology capable of building the advanced weapons required to implement the Red Army's sophisticated doctrine of Deep Battle. Initial designs had to be abandoned because of technical problems. The first heavy tank project was ordered in December 1930 by the Directorate of Mechanization and Motorization (UMM). in cooperation with the General Design Bureau of the Artillery Department. Classified as T-30, this project demonstrated many of the problems faced by a nation embarking on a rapid course of industrialization with only limited technical expertise. Initial plans were for a 50,8 tonne (50 ton) vehicle armed with a 76.2mm (3in) gun and five machine guns were ambitious, and although a prototype was constructed in 1932, it was cancelled because of problems with its running gear design. At the Bolshevik Factory in Leningrad the Experimental Design Mechanical Section (OKMO) designers, assisted by a team of German engineers, initially developed the TG-I (or T-22) design, sometimes called the Grotte tank after the chief German engineer. The TG-1/T-22 was a sophisticated 30,4 tonnes (30 ton) design, utilizing pneumatic steering and suspension and armed with one 76.2mm (3in) gun, two 7.62 mm (0,3in) machine guns, and 35mm (1,3in) armour. The Grotte team continued to experiment with other models characterized by multiple turrets. The TG-3/T-29 weighed 30,4 tonnes (30 tons), and had one 76.2mm (3in) gun, two 37mm (1,45in) guns and two machine guns. The most ambitious concept was the massIve TG-5/T-42, reputedly 101,60 tonnes (100 tons), armed with one 107mm (4,21in) gun and a mixture of other weapons in numerous sub-turrets. However, none of these designs were accepted for production on the grounds that they were either too complex for a youthful and inexperienced Soviet industry or, as in the case of the TG-5, they were simply impractical. It is also arguable that such over-ambitious projects were primarily intended to give Soviet tank engineers greater experience in tank design, rather than delivering actual production models. Creative freedom in weapons design was one of the hallmarks - and paradoxes - of a totalitarian Soviet regime notorious for its rigid control. 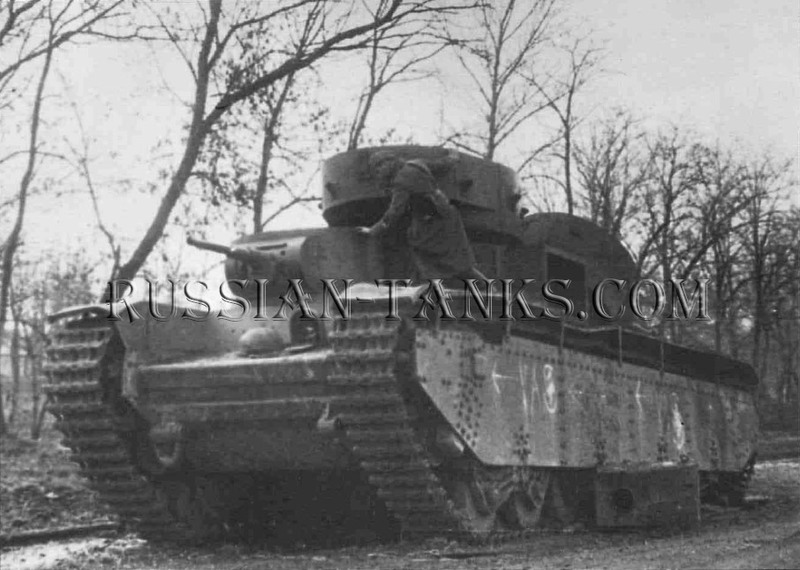 At the same time, the more successful T-35 heavy tank was developed by a second team at OKMO, led by N. TsietS. Two prototypes of the T-35 were completed between 1932 and 1933. The first, the T-35-1, weighed 50.8 tonnes (50 tons), and had a main armament of a 76.2mm (3in) PS-3 gun based on the model 27/32 howitzer, surrounded by four sub-turrets, two with 37mm (1.45in) guns and two with machine guns. The number of guns required a crew of 10. Included in the design were ideas developed from the TG prototypes, most notably the transmission of the M6 petrol engine, gearbox and clutches. However, problems revealed in trials, the complexity of some parts, and the cost made the T-35-1. unsuitable for mass production. The second prototype was the T-35-2, powered by the more powerful M-l7 engine with are-built suspension, less turrets and consequently a crew of only seven. Its armour was slightly stronger, with 35mm (1,3in) frontal, and 25mm (0,9in) side, adequate for withstanding small-arms fire and shell splinters. Based on the experience of these prototypes, the STO Work Defence Council (STO) authorized production of the T-35A on 11 August 1933. Work already in hand at the Bolshevik Leningrad Factory meant that its production engineering was moved to the Kharkov Locomotive Factory (KhPZ). 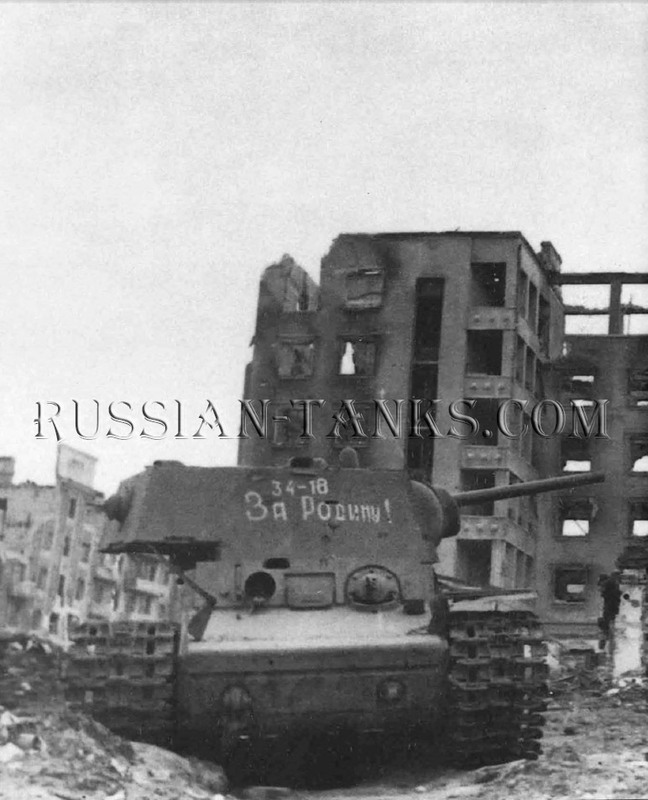 A number of refinements were made to the T-35's basic design between 1933 and 1939. The 1935 model was longer, and equipped with the new turret designed for the T-28 medium tank, fitted with a L-10 76,2mm (3in) gun. Two 45mm (1.77in) guns, designed for the T-26 and BT-5, replaced the 37mm (1,4in) guns in sub-turrets. In 1938 the increasing threat from more powerful and numerous antitank guns saw a final batch of six tanks receive turrets with sloped armour for improved protection.